Though that's a sizable 18% increase for standard plans, the price tag is in the range of other streaming options like Showtime ($11.99/mo), Hulu ($11.99/mo without ads), Amazon Prime ($12.99/mo) and HBO ($14.99/mo). But is it worth it? Streaming competition is heating up, and Amazon Prime offers a lot of extras for the same price as Netflix — or even less if you pay annually. Sure, these higher subscription fees mean we'll see more original content on Netflix, but the company is about to lose a lot of content, too. Disney movies will be leaving Netflix before the end of the year, when Disney launches its own streaming service. If you need Disney shows to keep the kids — or yourself —entertained, you'll find yourself adding another streaming service to your monthly budget. NBC is planning its own streaming service, too, and has already said that it may pull shows like "The Office" off Netflix. As more entertainment companies start their own streaming services, we'll see less on Netflix. 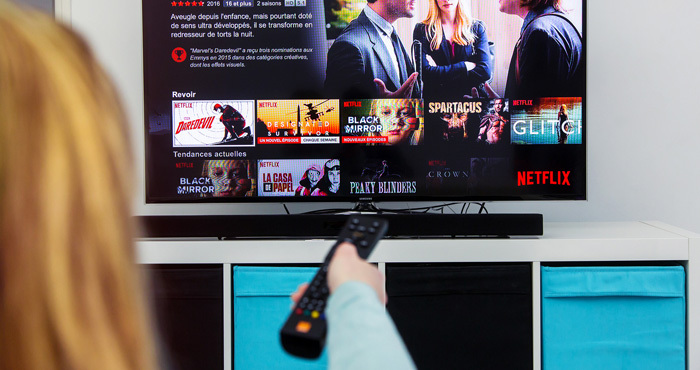 And to compound the Netflix price increase, UK company Synamedia announced at CES 2019 that it has created an AI to help streaming media companies detect account sharing. While it's relatively common to share streaming passwords, it's technically against the terms of service you agreed to when you signed up for Netflix and other streaming services. Most services keep account sharing in check by limiting the number of streams you can have going at once — Hulu ads-free allows one, the Netflix standard plan allows two, and both Amazon Prime and HBO allow three — which let you easily share an account in your household, but not share an account with the world. Beyond limiting the number of streams, companies really haven't cracked down on account sharing — and both Netflix and HBO have both publicly said they're okay with the practice. However, that could change at any time, particularly now that streaming companies have an easy way to spot sharing. Synamedia is currently testing the software with a number of companies, though we don't know which. None of the streaming services have announced they'll be using Synamedia — yet —so account sharers are probably still safe for now. But if Netflix and other companies start cracking down, your entertainment budget could really balloon.